Some of you read my other blog, bookconscious. If not, I’d encourage you to check out my post, “On Being Discontinued,” in which I address the view that some people have that librarians “just check out books” and therefore aren’t really professionals. My book review column was recently cancelled at the paper I wrote for, and my subsequent conversation with the editor revealed that he felt he could just get readers to write reviews for free. There are definite parallels to the public library world — some of you have probably dealt with public officials who felt they could run the library with fewer and lower paid staff. Check it out and let me know how you like bookconscious! I promise to be back soon with a new post here at The Nocturnal Librarian. 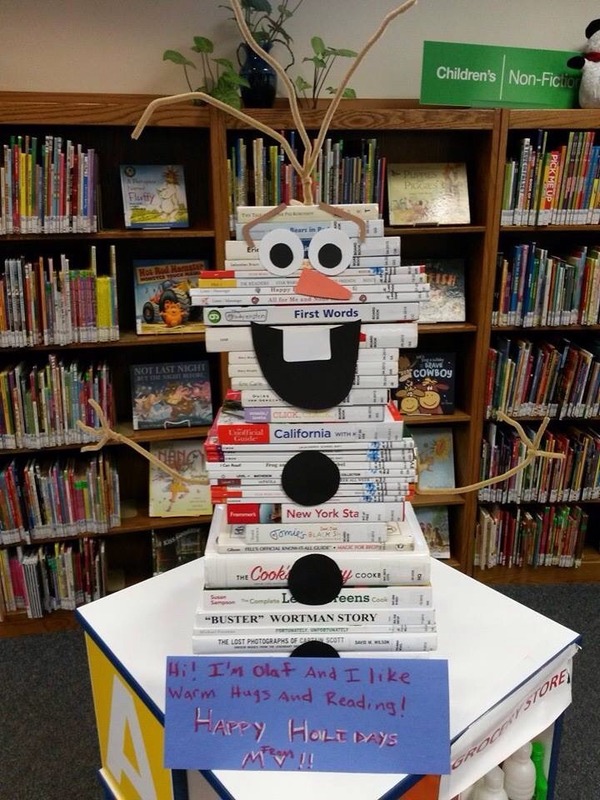 Meanwhile, enjoy Olaf, via iworkatapubliclibrary and reading-rumblr. Happy Holidays to you all.